We manufacture and supply a wide range of Industrial Automation Product for various industries where automation is a key aspect of are manufactured from high grade quality raw materials. These PLCs can be customized as per customer specifications. Our superior automation PLC sensors offer high quality and durability. Practicing strong business ethics and core values, we are engaged in offering Variable Frequency Drive(VFD) to our valuable clients. This drive is highly acknowledged among the clients for its use of control process and data acquisition. The offered drive is efficiently designed and manufactured under the strict guidance of our dexterous professionals using topnotch grade components and the latest techniques. In addition to this, our honorable customers can avail this drive at market prices from us. We always strive to deliver excellence and optimum quality to the customers by providing a topmost collection of Programmable Logic Controller. The provided controller is ideal to supply power efficiently which is highly acknowledged among the clients for its optimum functionality. This controller is manufactured using optimum quality components with the help of modern techniques by our adroit professionals. 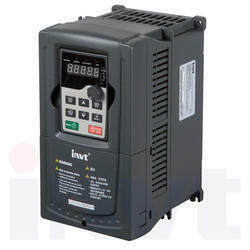 Moreover, our valued clients can avail the provided controller at economical prices from us. 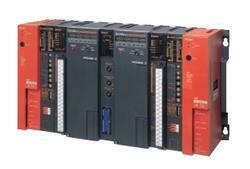 Looking for Industrial Automation Product ?